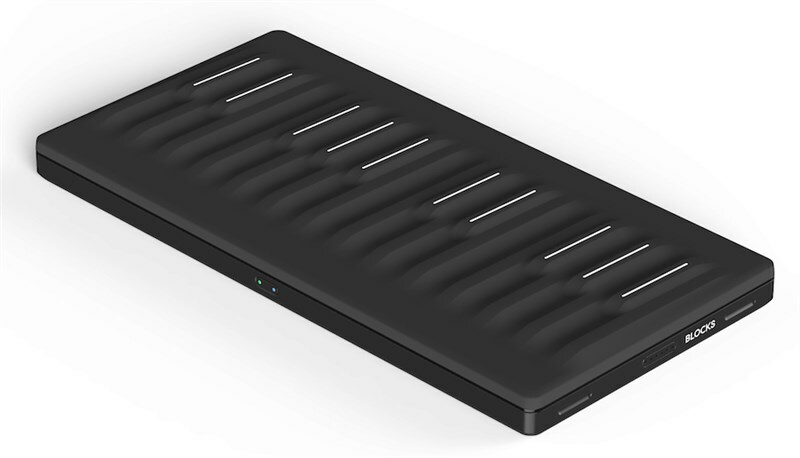 Known for their innovation, Roli are back with a miniature version of there popular Seaboard controller keyboard. Unlike a standard keyboard the Seaboard's contain state-of-the-art multitouch, pressure-sensitive, continuous keys. 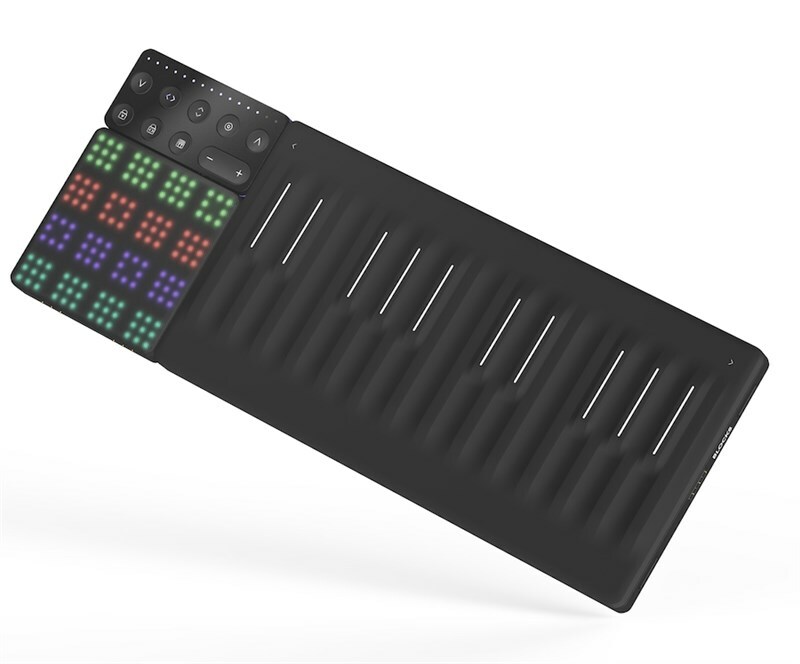 With the Seaboard Block, ROLI have combined the Seaboard technology with that of their BLOCKS system, allowing you to interconnect the device with the Lightpad, Live, Loop and Touch blocks. The Seaboard Block comes with a vast selection of on board sounds, from string sections to glitched-out synths. As well as this there are special add on packs from popular artists such as Steve Aoki, RZA and Wondagurl. Now includes Tracktion Waveform. 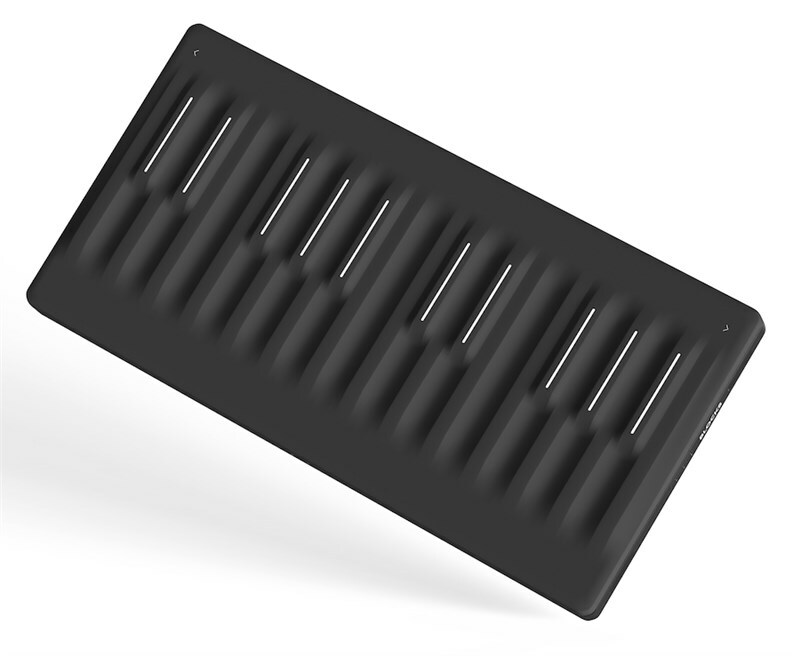 Create astonishingly expressive music on a next-generation keyboard. Seaboard Block replaces a traditional keyboard with a soft, pressure-responsive surface that lets you touch and shape your sound. 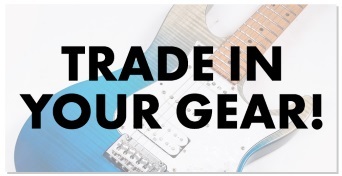 Play a powerful standalone instrument — and extend its power by connecting to other Blocks. Seaboard Block comes with a huge library of sounds from string sections to glitched-out synths. 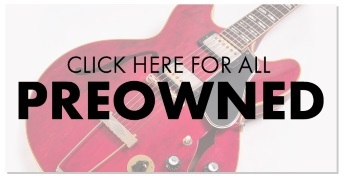 Access your sounds on either mobile or desktop through included software, and add to your collection by purchasing sound packs from renowned artists like Steve Aoki, RZA, and WondaGurl.